My company send me to Singapore last August. I was to meet up with somebody from our sister company Publicis Indonesia and the after I had to attend a conference with one of our clients. This was for me the first time in Singapore. Luckily I arrived early in the morning and my meeting was planned at the end of the day, leaving me half a day to roam around in this city state. I've traveled around using the public transportation often and I have to say it was a very pleasant experience. 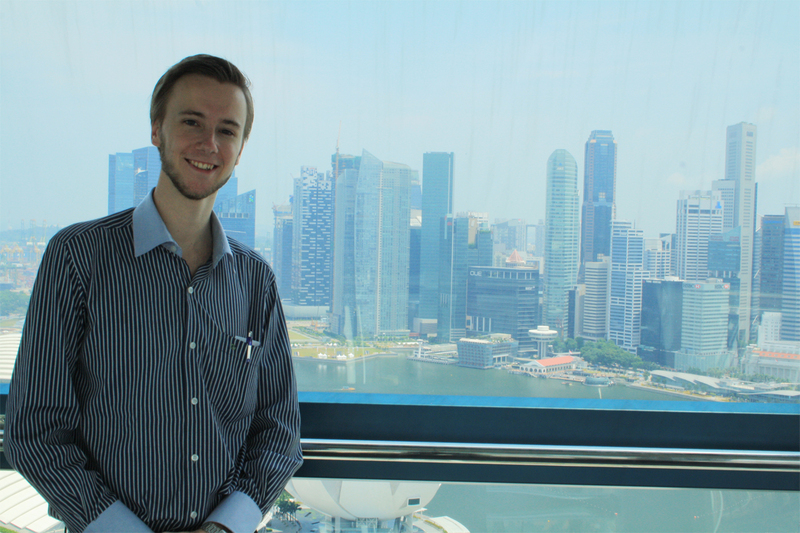 I went to the Singapore Flyer, which is the world's largest ferris wheel at the moment. After the conference I quickly visited Orchard Road, the best known road in all of Singapore, and bought there a present for my girlfriend. The meeting was scheduled for the first and the next day I had to attend this conference. At the end of the meeting my contact treated me to a nice local restaurant and offered all kinds of nice delicatessen. Unfortunately the next morning I was struck with some kind of food poisoning; apparently I ate something on my plate that was potent. The way to the conference felt like the longest subway ride ever because I had to stop at almost every station to go to the toilet. When I finally arrived at the location, my clients gave me some Chinese medication that looked like little black balls. I was a bit skeptical first, but after I took these pills the problem was solved straight away. No more unscheduled toilet visits for the rest of the day. My whole day turned from horrible to pretty great!